I wanted to go, but wasn't sure I could make it happen. Fall is the busiest time of year for those of us who work in food, and it's been one of those months where the hours in the day are just never enough. I was in Vermont cooking 12 hours a day while simultaneously juggling work projects back home, when the invitation came in via a longtime family friend. It was a for daylong seminar sponsored by Prudential and cohosted by DiMe Media and popular podcasters, The Great Girlfriends, featuring a series of TED-style talks geared toward women entrepreneurs as a way to help us take control of our career and financial futures. I said yes, deciding to take the risk despite my concerns about additional time away from my desk and impending deadlines. And when I took a seat a few days later and heard the first of several incredible speakers? That's when I knew my hunch had been right, and that I was exactly where I needed to be. I was completely captivated by the incredible women who spoke that day, and filled a notebook with notes, quotes, and ideas that jumped out at me during the talks. The following are just a handful of the noteworthy lessons I took home from the event; I hope that you find them as inspiring as I did! 1. Balance is impossible; harmony is what you're looking for. The search for work-life balance is a constant theme for many of us, but particularly for women who--for cultural, biological, and economic reasons--often end up responsible for the lion's share of household tasks and childcare. One of the opening talks at the Women Inspired event featured a panel discussion with Piera Jolly and Cristy Clavijo-Kish, co-founders of DiMe Media. Cristy and Piera answered questions from the audience about how they balance the demands of family with those of being entrepreneurs. I loved the answer Cristy gave, which is simply that we're focusing on the wrong thing. It's not about finding balance; it's about finding harmony. 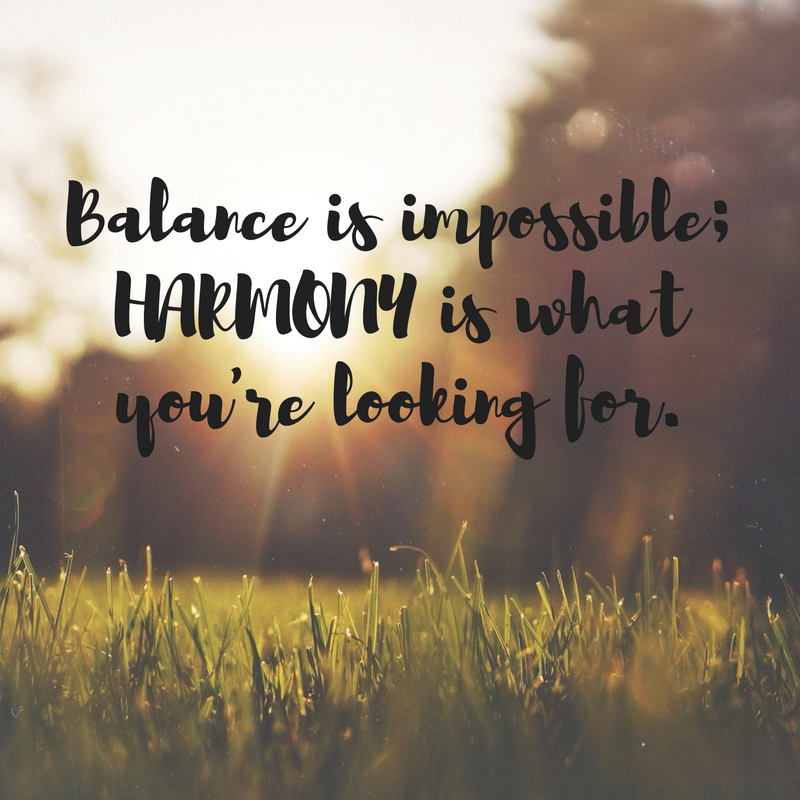 Balance and harmony might seem similar, but there is a very key difference that is life-changing. Balance is about equilibrium. When things are balanced, everything is distributed evenly and equally. That means that if you are spending X hours a day on work, you should be spending X hours on family or personal time. Which is completely impossible, because there are only 24 hours a day, a good 6-8 of which should be spent sleeping, and there are errands and housework and doctor's appointments and time to go to the gym and any other number of things that eat at our day. Harmony, on the other hand, is a simultaneous arrangement of different tones and sounds that work together. They are not always even. Some are stronger and some are softer. Some boom in and take over for a moment while others temporarily quiet. It's a constant and ever-changing chorus that ultimately produces something pleasing and greater than the sum of its parts. This is SUCH an incredible way to look at our lives! It gives us the permission to understand that the things we do in life are supposed to be a little bit uneven. Some days we'll be the rock star at work. Some days we'll be a superhero at home. That's not failure; that's just life! Don't look at the individual sounds in your life; listen to them together. Ultimately, the point is just to be happy with the music your life is creating as a whole. 2. Drive is your protective strength. Confidence is your vulnerable strength. This message, shared by motivational speaker and author, Sheri Riley, completely blew me away. I always think of myself as a confident person. And I am, for the most part. But over the years I've noticed that there are also a lot of moments when I don't follow through with opportunities in the way I think a confident person would, which makes no sense to me. I've never quite understood it, until I heard Sheri talk about the difference between drive and confidence. These two are easily confused because they look the same from the outside. Drive, Sheri explained, is a protective strength. It launches your forward and helps you achieve, but in a tough and shielded manner. It's more effective when things are going right. When the opportunities come through, or when your talent and skills allow you to be in control of the outcome. It's what helps your make things happen. Confidence is a vulnerable strength. To be truly confident, you have to be able to open yourself up to things that may not be easy. Confidence is the thing that gives you the power to deal with the potential for rejection or to accept criticism. It's feeling secure enough in your worth, talent, and abilities to ask for the things you really want. Drive, for example, is the thing that makes it easy for me to fearlessly handle a TV segment in front of 4 or 5 million strangers. That's never been an issue for me because I'm secure in my ability to handle the camera and think on my feet. The confidence comes in later, when I go to share the video with friends and family. Or when a producer or my agent asks me to send clips of my best work. That's when I get nervous. That's when I second-guess myself and pick-apart my performance. When I wonder if I really am good at what I do. When I, occasionally, don't follow through because I'm too scared to even try. And you know what? Even just writing about this feels uncomfortable for me! Because it is much easier to portray myself as someone who is confident than it is for me to admit that I have insecurities and doubts. There's a power in vulnerability that I need to reclaim. It's something I need to work on, but being able to understand and recognize the difference already feels like an incredible step. 3. 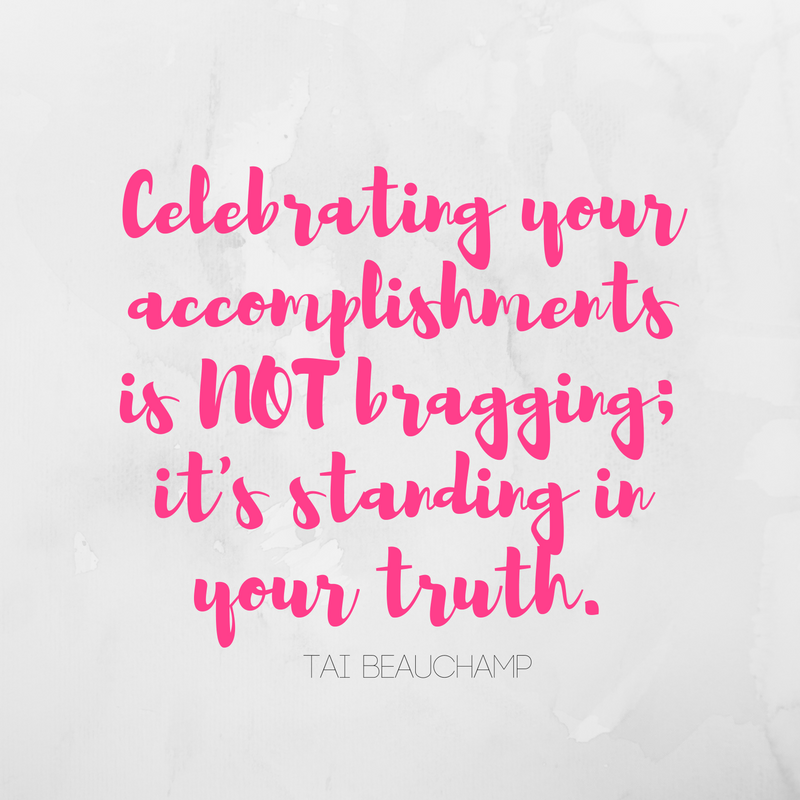 Celebrating your accomplishments isn't bragging; it's standing in your truth. Another powerful line from another powerful woman. This was shared by Tai Beauchamp, a TV host and lifestyle expert who talked about the importance always bringing ourselves fully to the table and unashamedly celebrating all of our accomplishments. We all know about the discrepancies between how much money men and women make in the United States. While not the full reason, part of it is because we're not negotiating and asking for raises or making our value known within our work environments the way that we should be (This is a cool resource with more information about the gender pay-gap.) As Tai noted, the guys are rarely that shy about sharing the things they've done! Owning and sharing about the things you've done isn't bragging, it's simply "standing in your truth." This is who you are. This is what you've done. In ALL of its awesomeness. And sharing your full truth makes you a more dynamic and compelling person. It will set you apart, and help bring more opportunities. So own it, girl! Claim your full truth and awesomeness. 4. 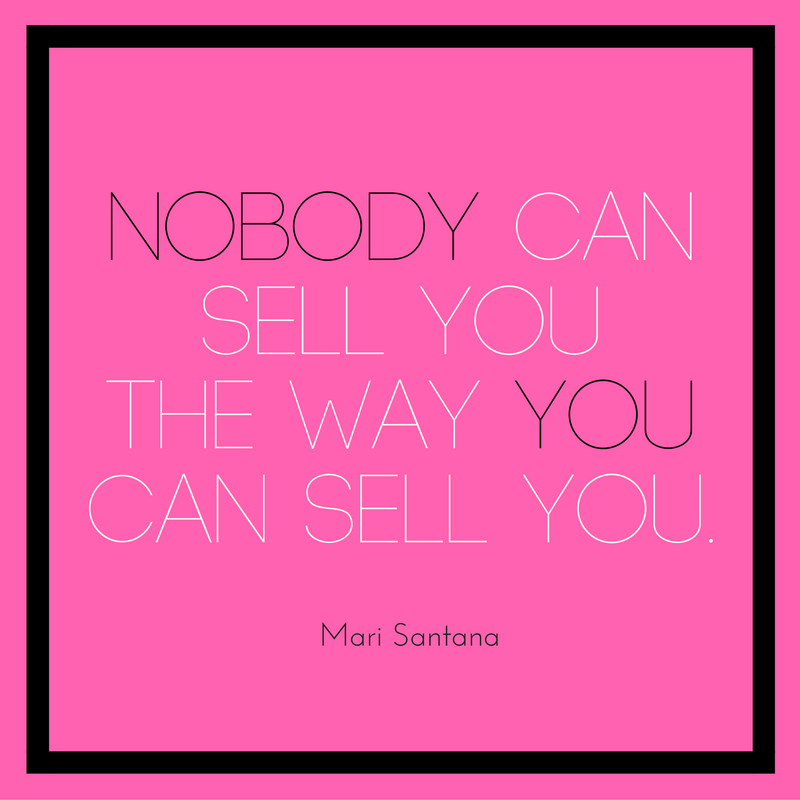 Nobody can sell you the way you can sell you. Nobody will ever be as passionate or clear about your message as you are. And nobody can represent you better than you can--provided you get your presentation down. Mari Santana is a pr and media expert and coach who gave a talk about how entrepreneurs can prepare themselves to properly go out there and sell their message. She covered everything from the basics like how to dress and prepare for an interview, to how to follow-up and maximize screen time (check out the video below for a few of her tips). This is obviously a topic that's close to my heart since I love being on camera, but what jumped out at me most from her talk was her point that all of us should always be prepared to sell our story. NOT just when we have a TV or print interview booked, but anytime you step out of the house. Have your message down and ready to share in quick 30-second bites. When someone asks you who you are or what you do, be prepared to tell them. Never waste an opportunity to get it out there because you never know whom you might meet. 5. None of us gets to awesome by ourselves. Entrepreneurs tend to be control freaks. One of the reasons we work for ourselves is because we don't like being told what to do. We're often good at a lot of different things, and we love the rush and thrill of hustling to make things happen. But self-employment doesn't have to also mean that we're working solo always. Taiia Smart Young reminded us of this during her talk where she highlighted the importance of making strong partnerships, asking for help, and relying on people in our network to help us accomplish our goals and bring our projects to life. She pointed out that each of us has (or needs!) 5 key figures. Can you identify these people in your life? The Social Butterfly: That amazing friend or colleague that always knows the perfect person to introduce you to. The Coach: The one with the right advice. The one who will root for you and help and guide you through your journey. The Deadline Diva: The friend who will always keep you accountable and actually make you follow-through on goals. She's the one that gets you to the gym, who forces you to write the book proposal, and who actually goes ahead and buys the tickets to the conference you casually mention wanting to attend. The Seer: The one who sees more for you than you see for yourself. 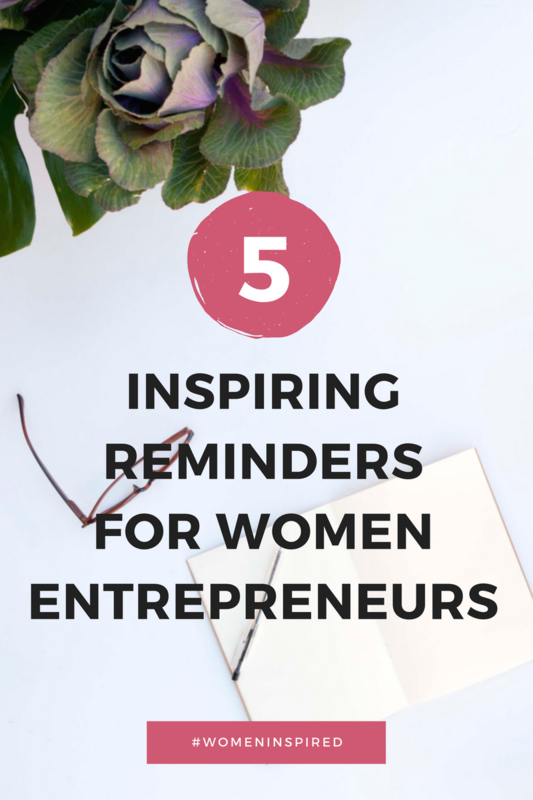 The one who hears your idea and gently encourages you to think bigger, dream bolder, do more. The idea of finding the right people to collaborate with was also echoed by the DiMe Media ladies who talked about the importance of partnerships and outsourcing. They noted how for many of us the instinct is to handle everything ourselves in an effort to save money, or just because we can, but emphasized just how important it is to find people to work with. Whether it's hiring people to take administrative tasks off your plate, or finding the right partners to collaborate with for projects, it's important to get over the fear of letting go a bit because the benefits and growth that can happen when we do is immeasurable.